It has a white, erect, trichotomously panicled flower with obtuse lobes. The stem and leaves of the plant are clothed with long spreading hairs (see picture above). It is traditionally used by the Xhosa people (a Bantu ethnic group divided into several tribes in southern Africa). Their mythology and traditions attach great spiritual and medicinal value to the Silene capensis (undlela ziimhlophe, or ubulawu in Xhosa language). However, in modern medicine, is not widely known and has been very little studied pharmacologically. 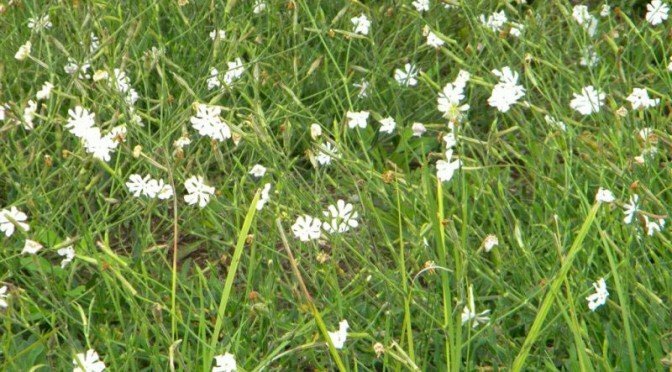 In Xhosa oral tradition Silene capensis it is closely linked to the River People, a euphemism of respect for the ancestors, particularly among diviners initiated at the river. 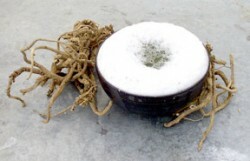 The root of Silene capensis features among the several offerings in the rites that are made at the river on behalf of the candidate being inducted as a diviner and addressed to the River People. 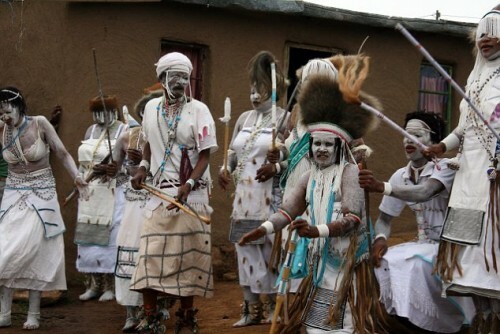 Xhosa people performing a traditional ritual dance in Mgwali village, Eastern Cape of South Africa. It appears to be legal everywhere in the world. If you know of a country or state where it isn’t, leave a comment below! Although, African dream root is a very obscure legal high,it is legal everywhere, therefore it’s not impossible to obtain. You can find a shop to order dried African dream roots online from the US below! Buy Silene capensis (African dream herb) shipped from the US. The main active ingredients in Silene capensis is reportedly a group of chemical compound called Triterpenoid saponins. These ingredients are known to be responsible for the foam produced by the Silene capensis root powder when put in water. However, regarding the compounds’ connection to the plant’s effects on dreams, formal scientific and pharmacological research is yet absent. African dream root is a not very well studied legal high and its effects and the main active ingredients are not well understood and not studied at all. Internet testimonials say, that taking African dream root for months, can cause the lucid dreaming to become permanent – you will have the same vivid and insightful dreams even after you stopped taking roots. However, this is only an online rumour. I haven’t found any scientific study, that would back this up. The large amount of positive testimonials suggest, that this might not merely be a placebo! Since no formal research had been done regarding the effects of Silene capensis, its possible dangers are also unknown. That being said, it is safe to assume, that it does not have any serious undesirable side effects. I went through tremendous amount of forum threads and experience reports online, and none of them gave an account of any considerable unpleasant symptoms experienced after taking African dream root. That being said, as with any herb with psychoactive properties, you should avoid overly large doses and handle it with caution in case of risky conditions (pregnancy, diabetes, heart conditions etc.). Also, throwing up is possible, if you take too much, but that is at least partly because of the way it is consumed (more about in the section about consumption). Silene capensis doesn’t have any health benefits recognised in modern medicine. Although, this might be due to the lack of pharmacological research done on the plant. Although, it does have some sort of traditional medicinal uses amongst the Xhosa people of southern Africa, it’s considered more of a spiritual remedy. The traditional way of consumption is to put the powdered (fine powdered, or it won’t really work) roots in water, then mix it with a fork or by shaking the bottle. A thick layer of foam will be produced on top of the liquid. You need to consume this foam (taste and consistency is very bad, but might be worth it!). You can also try putting the powder into boiling water and drinking it after it cooled off (sort of as a tea). Or you can just chew the roots. Here I’ll only describe the traditional preparation, as the other two are quite straightforward and don’t need much explanation. However, there are positive reviews of all three methods online! So if you don’t like one, you can still experiment with the others. Let me know in the comments section below which one works for you. However, keep in mind, that many people report no effects. This is not 100% scientifically proven, although the tremendous amount of testimonials suggest, that it indeed does works. However, not for everyone. Also note, that effects might not come right away. You may have to eat the foam (or drink tea, or chew roots) for a week or two, before you experience any effects. “So, I had read on another forum that someone was taking as little as 250 mg per day in a tea and was getting effects strong enough that he never even bothered with the traditional preparation. I like to stick to what works so I tried it his way. For three days I simply put 250-350 mg in a travel mug, poured boiling water over it, and stirred every 5 min, letting it go for at least 20 minutes. Then I’d add honey and put it in the freezer to chill and drink it on the way to work. After of course removing the xhosa root itself. Okay, I’d say that every two or three months I have a dream that is both remembered and vivid before taking this root. I had vivid dreams I remembered all three nights after I drank the tea during the day. “So a little while ago I ordered some Silene Capensis, from an Internet vendor. I was interested in lucid dreaming at the time and thought I would give it a shot. 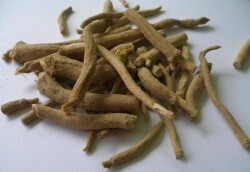 I ordered 14 grams of ‘Silene Capensis Whole Root’. 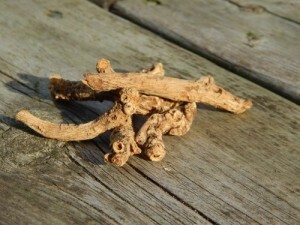 I prepared this root by breaking up the root into very small pieces. I then got a water bottle and filled it up with water, approximately half full. I put the root with the water and let it sit in the fridge overnight. The next morning I shook up the water bottle, until lots of foam was produced. I drank almost all the foam, waited an hour and ate breakfast. Silene capensis is only one of the legal highs included in Simon’s legal high guide, check out the others as well. If you are only interested in other legal light drugs, then check out Simon’s legal light drugs for more (coming soon). An overview of the effects and traditional uses of Silene capensis (African dream root). The plant, traditionally used by the Xhosa people for shamanistic rituals, is said to induce vivid lucid dreams. Although, its effects are not scientifically proven, testimonials suggest that there might be something to it. FYI: lucid deeming is the holy Grail of consciousness. Right up there with the Entheogenic state of consciousness. Scientists who specialize in the study of consciousness, categorize the lucid dream state as unique ; not an extension of any other kinds. If African dream root could produce lucid dreams, these researchers would be right on it, very closely. True lucid dreams are so coveted, that anything producing them would be wildly popular; just like the entheogens are to those who seek the mystical States of consciousness. Since this root remains still in ,obscurity, the effects from it are obviously not profound enough for it to rank highly in the Pantheon of consciousness- changing substances. I’m still all for dream enhancement, but with the expectation that lucid dreams are basically a gift from the gods.